With the exception of one spouse, everyone in this picture has lived or currently lives on what is now the Mikkonen organic family farm in rural South Dakota. 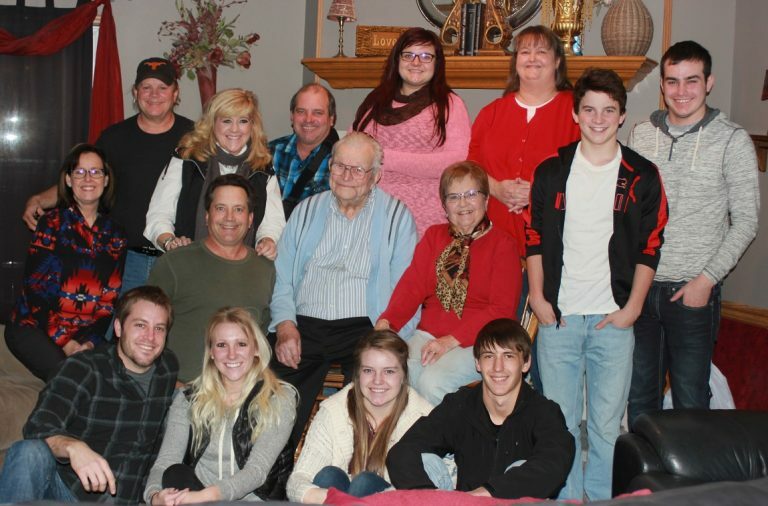 Bottom row: Blain Mikkonen and his wife Kelsi, Mariah (Mikkonen) Heine, Wyatt Heine. SEATED: Dena Mikkonen, Rory Mikkonen, Ray Mikkonen, Pat Mikkonen. BACK ROW: Mitch Mikkonen, Krysti Mikkonen, Lonny Mikkonen, Shrylle Mikkonen, Judy Schultz, Zach Mikkonen, Jayden Mikkonen. The Mikkonen Organic family farm began as a conventional farm back in 1944 with two brothers, Alvar and Raymond Mikkonen. It started with 200 acres near the small town of Frederick in north central South Dakota a mere 5 miles from the North Dakota border. The little Finnish town of Frederick felt like home to these two Finnish brothers and their 6 brothers and sisters who settled in the area. Farm ownership grew with the addition of brother Larry. Over the years, the farm gradually grew to over 1800 acres. While this is not huge compared to some farmers, it is rather large for an organic operation. The family grew as well, while neither Larry nor Alvar married or had children, Ray and his wife Pat had four children, Mitch, Rory, Judy & Lonny. Two of the children, Rory and Lonny returned to the farm after furthering their education. In 1989 the farm was certified for the first time as organic production. The organic certification helped ensure future viability and filled a growing concern for the environment. Over the years a greater respect for nature and the environment has been obtained through significant research, trial and error. Additionally, there’s a better understanding of biodiversity. A wide variety of organic grains have been grown on their farm over the years. The farm continues to be certified organic out of respect and concern for the land God created. We also feel a genuine responsibility to ensure we make every effort to put the quality and nutrition back into the soil. In the mid-80’s, the the older Mikkonen brothers, Larry, Alvar and Ray began retiring. Rory and Lonny took over leadership of the farm upon the brothers retirement. Lonny lives on the farm with his wife Krysti and their four children Shrylle, Blain, Mariah and Jayden. Two of their four children, Mariah and her husband Wyatt and Jayden moved back to the farm after getting their education. As the third generation, they will one take over what is now an organic family farm tradition. 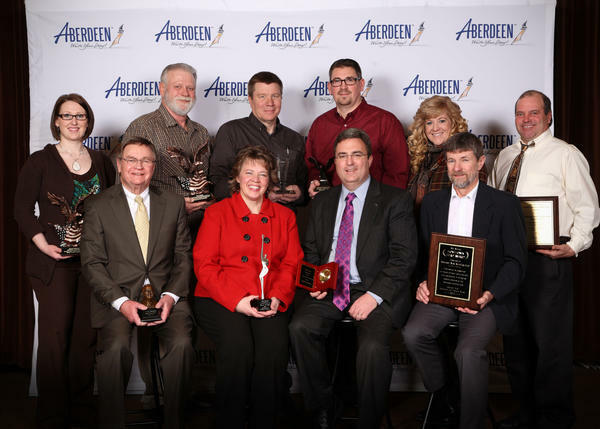 On behalf of the Mikkonen’s operation, Lonny and his wife Krysti (right end of top row) accepted the Family Business of the Year Award at the 2013 Aberdeen Area Chamber of Commerce Community Champions Awards Banquet.